A new report shows that more Americans are taking out long term car loans, with almost 70 percent of all new car loans exceeding five years. 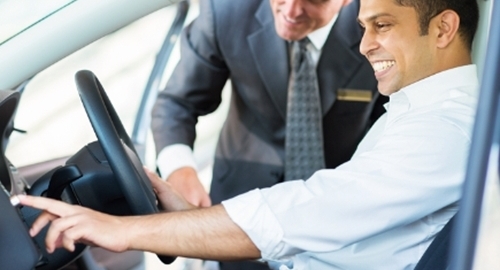 According to Experian Automotive, the average length of new car loans rose to 67 months in the first quarter of 2015. Used car loans showed similar growth, rising to 62 months in the same period. Both categories increased by one month last quarter and are up five months when compared to the same quarter in 2010. Even longer term loans showed a greater increase. New cars with a term of 73 to 84 months, up to seven years, reached 29.5 percent, a record high for that length. The gain represents a 25 percent increase from the first quarter of 2014 and 9 percent increase from 2010. Seven year used car loans also rose to record highs. Loans of that term length represented 16 percent of all used car loans over the three month period. That figure rose 14 percent from last year and 6 percent from five years ago. The average loan payments for new cars increased slightly last quarter, rising to $488 a month from $474 a month last year. The average balance of new car loans grew from $27,612 to $28,711 last quarter. Longer term lengths bring lower monthly payments, which seems to be helping delinquency rates. Soon after Experian released their results, Equifax reported that delinquency rates on auto loans reached their lowest level in a decade. In April, delinquencies of 60 days or longer dropped below below 1 percent to 0.81 percent, the lowest level since 2005 and down from 0.9 percent last year. Loan management software helps set proper term lengths to reduce delinquencies. If your company is in need of new software, contact Graveco today.